Family owned and operated in the Brownwood, TX area for over 25 years. Heart of Texas Mechanical Contracting, LLC is a home-grown business serving Brownwood, TX and the surrounding areas. After starting small, we’ve continued to expand and serve the Central Texas area for over 25 years. Heart of Texas Mechanical Contracting, LLC now has more than 20 employees and delivers service with over 15 trucks. Our team is dedicated to making your needs our priority. All of our employees have cleared background checks, and we carry workers’ comp insurance. Our business has grown over the years, thanks to repeat customers and word of mouth. Heart of Texas Mechanical Contracting doesn’t use fancy jingles or gimmicks. We want your experience with us to bring you back time and time again. We will always value you as a customer! Whether you require AC unit replacement, ductless AC repair, a heating contractor, or emergency plumbing service, don’t hesitate to contact one of our representatives. We offer a versatile selection of services that you’re not going to get anywhere else. In need of a new air conditioning unit? Fast & affordable AC replacement is one of our main specialties. We are the only authorized Lennox dealer in the area so come see what we have to offer for any of your replacement or installation needs. We can handle any and all of your plumbing issues, even emergency ones! Our team of professionals uses its years of experience in order to provide our customers with the most reliable plumbing services and repairs in the area. We sell and install brand-new HVAC equipment. Our team has partnered with some of the top manufacturers in the industry to ensure your satisfaction. 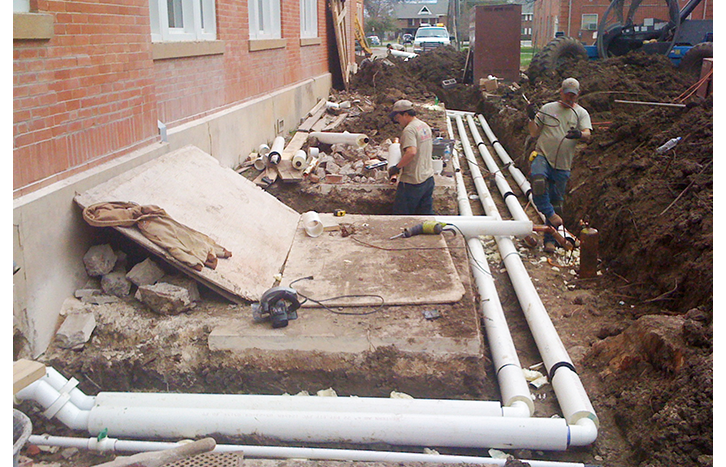 We handle residential, commercial, & industrial heating repair, replacement and installation of new systems. We deliver the finest service when you need it most.